Harvest House Publishers, 9780736926256, 364pp. Sienna Collins, owner of the Harmony Grove Bed & Breakfast in Lancaster County, Pennsylvania, learns that she is under investigation by the federal government for crimes she knows nothing about. A few hours later she finds her ex-boyfriend, Troy, dead, and her life and livelihood begin to spin wildly out of control. She begins to doubt everyone around her, even the handsome detective assigned to the case. As Sienna tries to clear her name, she is forced to depend on her faith, the wisdom of the Amish, and the insight of the man she has recently begun dating. 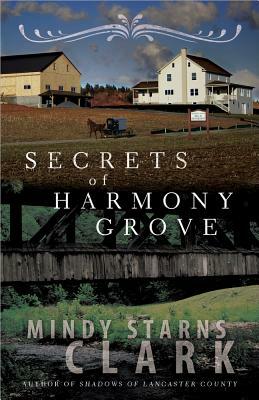 She'll need all the help she can get, because the secrets she uncovers in Harmony Grove end up threatening not just her bed-and-breakfast, but also her credibility, her beliefs, and ultimately her life.